Thailand is the world's 50th largest country in terms of total area, with a surface area of 513,120 km2 (198,115 sq. mi. ), and the 20th most-populous country, with an estimated population in July 2010 of 65,998,436. About 75% of the population is ethnically Thai, 14% is of Chinese origin, and 3% is ethnically Malay; the rest belong to minority groups including Mons, Khmers and various hill tribes. The country's official language is Thai. Its primary religion is Buddhism, which is practiced by around 95% of all Thais. In 2000 Mennonite Brethren Mission and Service International (MBMSI) organized a missions team of three couples, known as Team 2000, to begin work in Chonburi, Thailand. Various ministries and social programs were established, including ESL classes and a ministry to HIV-AIDS orphans. After the devastation caused by the December 2004 tsunami, a number of MBMSI teams worked to construct new homes. After several Mennonite Brethren congregations were planted in Thailand, a conference, called the Thai MB Foundation, was formed and officially recognized by the government in 2009. In 2014 the Thai MB Foundation had 15 congregations with 1,500 members. The MB Mission team included 26 adults and 16 children from Japan, Canada, and the United States. They were assisted by numerous short-term missions groups. Abundant Life Home Orphanage, a ministry to abandoned children with HIV/AIDS, was started in 2006. Church planting was extended to the Phuket region in 2004 and by 2014 missionaries ministered to immigrants from Burma (Myanmar) in Chachoengsao and from Cambodia in Chonburi. The Changed Life Center in northern Thailand trained church leaders from tribal groups in the region. Stauffer, Brenda and Richard D. Thiessen. "Thailand." Global Anabaptist Mennonite Encyclopedia Online. February 2014. Web. 25 Apr 2019. http://gameo.org/index.php?title=Thailand&oldid=122832. Stauffer, Brenda and Richard D. Thiessen. (February 2014). Thailand. Global Anabaptist Mennonite Encyclopedia Online. 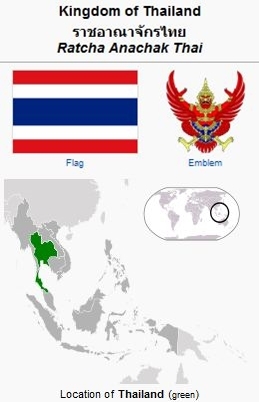 Retrieved 25 April 2019, from http://gameo.org/index.php?title=Thailand&oldid=122832. This page was last modified on 5 June 2014, at 06:26.